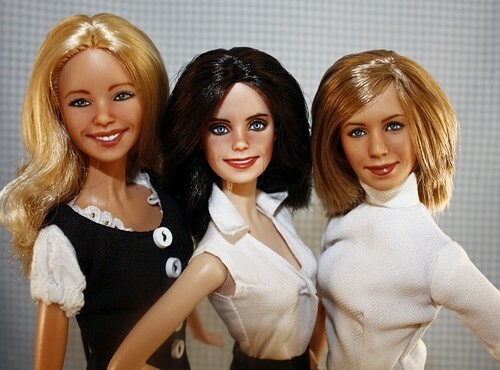 Monica, Phoebe and Rachel dolls. . Wallpaper and background images in the Friends club tagged: friends rachel monica phoebe. This Friends fan art contains portrait, headshot, and closeup.